What is it? 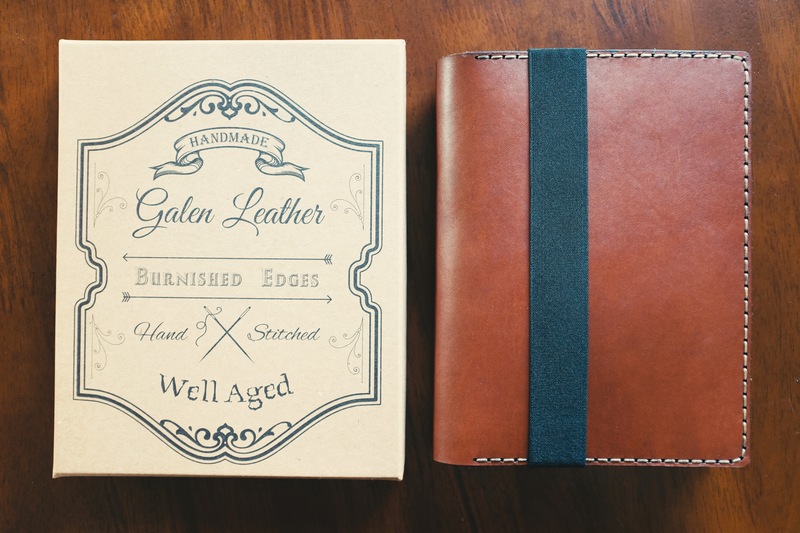 Galen Leather is a two person team located in Istanbul, Turkey that’s producing top-quality leather goods. When they reached out asking if I’d be interested in checking out a cover, I jumped at the chance. I’m usually not into notebook cases/covers, as they seem to add bulk without any real utility. The Galen Leather adds more than just extra bulk to your gear by providing a home for everything you need for a grab-and-go mobile office. Read on to see how it is! Notes: The first thing that stood out to me was the packaging. It comes in a nicely designed cardboard box, that I’m sure can be recycled should you not want to keep it around. There’s also a small glass bead (which you can read more about here) that I totally forgot to take a photo of. At first glance, the leather is high quality, the stitching is uniform, and the attention to detail is on point. The cover is nicely presented and I would be happy to receive it as a gift. 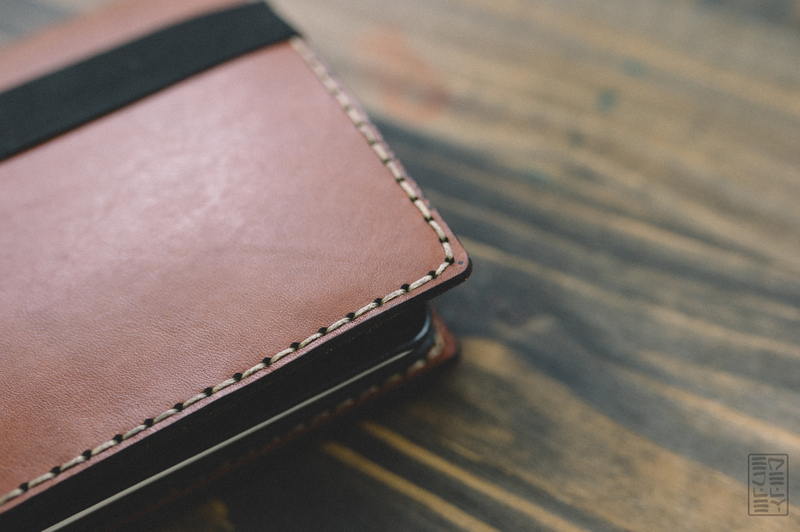 Each cover is hand stitched and features burnished edges. This is a method of polishing the side edge of a piece of leather so that it has a smooth finish. Throughout the cover, the stitching is sturdy and everything is cut and sewn precisely into place. The leather is soft, flexible, and smells great. It’s not going to take a ton of breaking in, which is nice. Outside, the case is relatively simple. 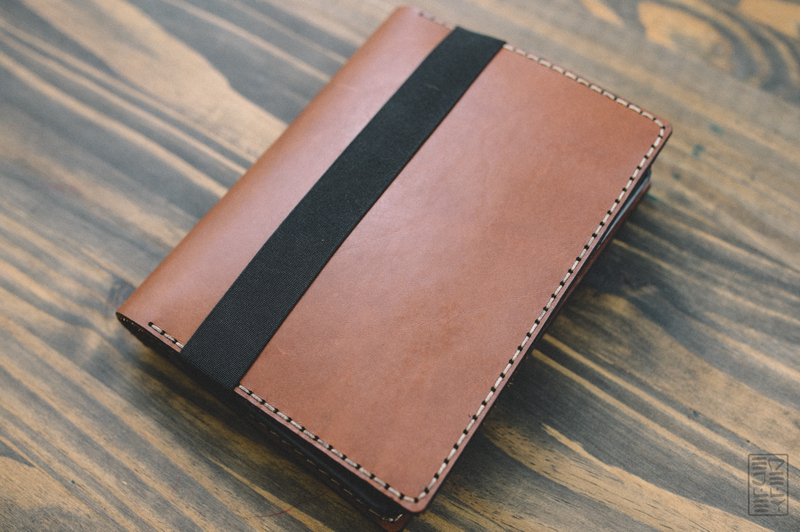 It’s a nice medium shade of brown leather, has contrasting stitching, and is held shut by a thick elastic band. Inside is where the cover really shines. 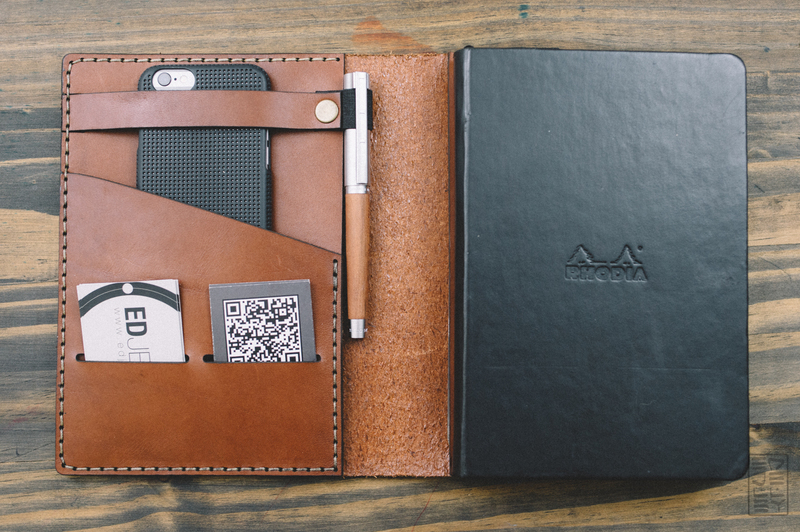 There’s room on the left for a phone or smaller pocket notebook, a few cards (credit or business) and your favorite pen. The elastic loop lines up with the spine of the notebook, leaving more than enough room to safely carry a large pen. Underneath the left side is room for a tablet up to the size of an iPad mini. On the right side there’s an elastic band to hold the back cover of the notebook in place. Again, there’s a pocket underneath that’s the same size as the other one. When closed, there’s more than enough cover to hold everything seen below without anything bulging out. Using the notebook inside the case is easy, as it all lays relatively flat. I didn’t find it uncomfortable to write in. If you do, the notebook is quickly and easily removed and replaced. It’s nice to have everything I need for a mobile office setup in a grab-and-go format. All of my gear is held securely inside and it’s easy to toss in a bag or carry as-is without worrying about things dropping out. This case is very well thought out and I don’t think I would add or subtract everything. 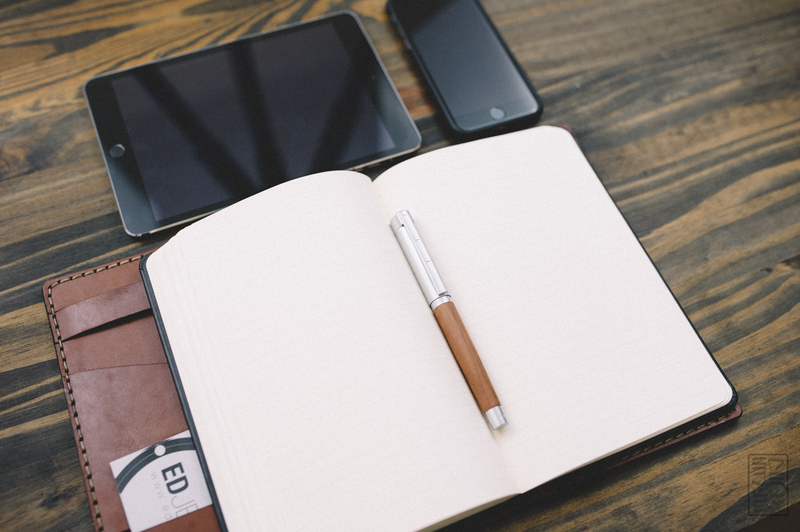 The iPad Mini/A5 Notebook Cover by Galen Leather is priced at a relatively affordable $65 – what I’d say is a good value for what you’re getting. If you’ve been looking to make your life a little easier, consider this case by Galen Leather as a permanent home for your go-to gear. Looking for something smaller? Galen has a bunch of covers to accommodate a variety of gear. Thanks for sending the case over for review! Disclaimer: Galen Leather sent this case at no charge for a review. All opinions are my own. I was thinking about something like this just recently – I’ll have to check the specs but do you think it would house a Hobonichi Cousin + iPad Pro 9.7? 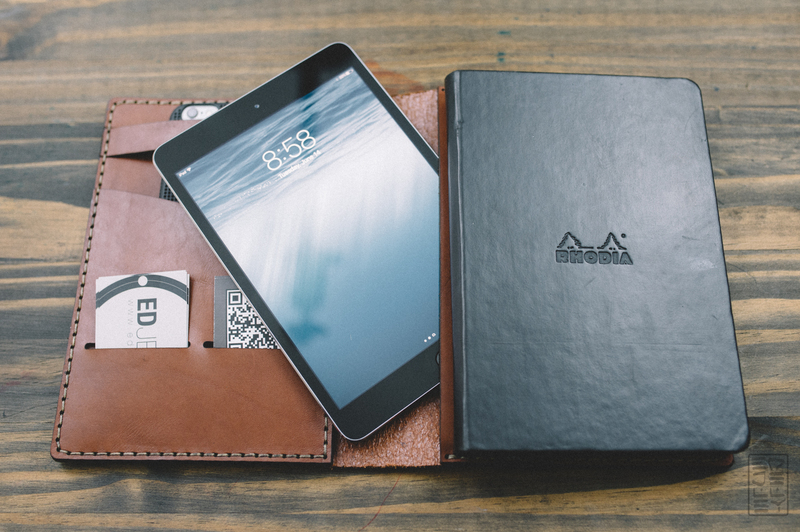 They have a bunch of other cases on the website that accommodate larger iPads + notebooks. This one snugly fits the iPad mini, so it definitely won’t fit a Pro.